Dairygold is leading the way by becoming the first dairy Co-Operative in Ireland to extend the training and benefits of lean manufacturing principles on a widespread basis beyond the factory floor to its farmers through Leanfarm, an initiative launched by Minister for Agriculture, Food and the Marine Michael Creed on Friday, 9th February in Granagh, Co Limerick. Lean is an approach most commonly used in manufacturing to drive continuous improvements and efficiencies that utilise less time, effort and resources thereby giving greater returns. Having achieved significant efficiencies and financial savings through ‘lean’ in its processing and supply chain operations, Dairygold implemented a pilot programme in 2017 to examine if the same rewards could be reaped at farm level. The pilot programme, carried out among farmers of varying scale and herd size, proved so successful that Dairygold has now launched the widespread roll-out of continuous improvement training to all its Members through Leanfarm. Among the benefits seen from pilot programme included potential cost savings of €1440 per year, a reduction of 18 labour days and a reduction in farmers’ walking distance of an astonishing 116km per year. It also clearly demonstrated that the application of lean principles on-farm can deliver improvements in safety, reduce physical labour and have a significant positive impact on farmers’ quality of life and mental wellbeing. 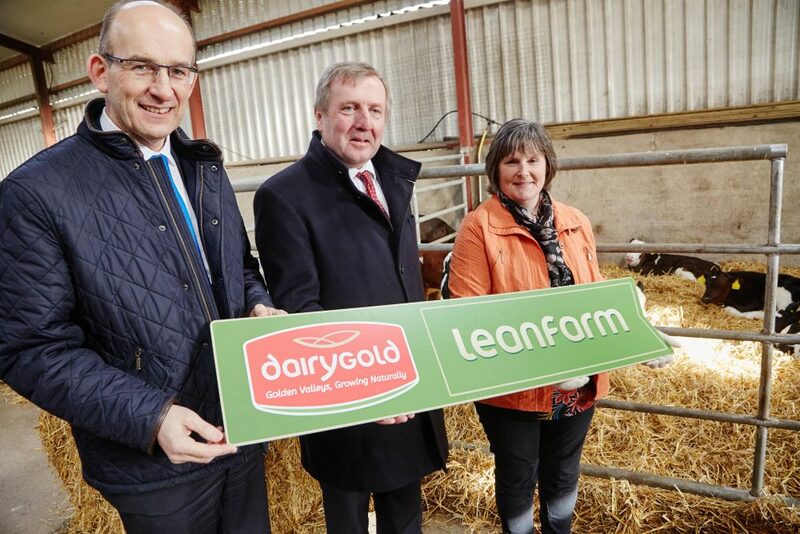 Through Leanfarm, all Dairygold’s members can now avail of training on the tools and techniques of how to implement lean at farm-level as well as ongoing support from Dairygold’s Continuous Improvement (CI) and Milk Advisory teams. “We are very excited to launch Leanfarm which we firmly believe is an initiative capable of changing farming forever. “Through Leanfarm, we want to drive a cultural shift in how farming is carried out and enjoyed with the right tools, techniques and a new perspective on every aspect of the farming process which enables and empowers farmers to identify and resolve problems and increase efficiencies to achieve improvements that can be life-changing. The launch of Leanfarm is a pivotal part of Dairygold’s efforts to support Members, 25% of whom revealed in a survey last year that labour is a main obstacle to their future dairy farming plans. 30% of Members also identified that “finding labour” is a significant challenge that needs to be addressed in order for them to fulfil their potential. For more information on Leanfarm visit dairygoldagri.ie/leanfarm or call 1890 200 840.